Sandra M. Martínez is the President of Fénix Leadership & Development, LLC, a thought leader in leadership development and organizational transformation. She enables innovation, growth and transformation in businesses, government agencies, and non-profits in the U.S. and abroad through executive coaching and the design and delivery of leadership and organizational development programs, seamlessly integrating with internal teams. Though Fénix, Sandra supports leaders in exploring their values and life purpose and enhancing their awareness of themselves and their environment in order to expand their choices and adopt new, more effective behaviors. 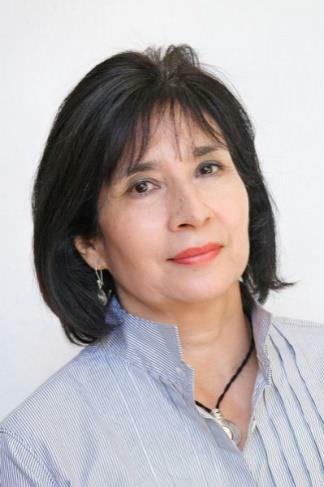 Although Sandra draws on many frameworks to create a tailored approach to consulting and coaching, she has found that a developmental perspective, integrated with an understanding of complex systems, polarities and advances in neuroscience, captures for leaders the dynamics of what they are experiencing to offer them a valuable lens. Early in her academic career, she taught leadership and team-building processes at the Wharton School and participated as a researcher in the acclaimed Global Leadership and Organizational Behavior (GLOBE) project, describing and comparing leadership behavior across 62 societies. She has collaborated with many organizations including the Cebrowski Institute of the Naval Postgraduate School, the National Defense University, Eli Lilly, agencies of the U.S. government, the Cherokee Nation and businesses abroad to accelerate learning and build strategic leadership capacity. She served as the Defense Transformation Chair at the US Army War College. She has published broadly, especially about leader development and transformation in complex environments drawing from an understanding of the stages of adult development. For more than ten years she has coached senior leaders in the public and private sector throughout the Americas and is certified to code and debrief using the Leadership Maturity Assessment Profile (MAP) in Spanish and English. She is an adjunct coach for the Center for Creative Leadership and the Center for Excellence in Public Leadership at the George Washington University. She is certified as a Polarity Master by Polarity Partnerships and is licensed to administer and debrief the PACT, as well as many other assessments. Martinez holds a Ph.D. in Business Administration from New Mexico State University and an MA with distinction from the University of New Mexico in Latin American Studies and International Management. Her BA is in Music, from Colorado Women’s College.